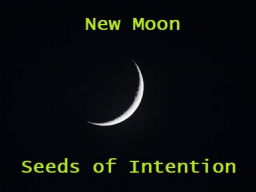 We don´t need a New Moon to plant new seeds in our lives, but as this New Moon has a special energetic signature on it, we can make good use out of it, for an extra boost in our lives. In this webinar, we will feel into the energies, what really matters to us and where we want to plant some new seeds for a happy, fulfilled future. Hint: If you know where 15 degrees Sagittarius is falling in your Birth-Chart, this might be an area of life, where it will be easy to manifest expansion the next month. In this webinar, we will talk about the energies at the moment, tune into them to get into alignment with the energetic flow of life and in the end, we will have a little healing meditation. Please message me if you have questions or specific topics you would like to be included.